Every Easter as a kid, my sisters and I would put together an Easter egg tree for the house. 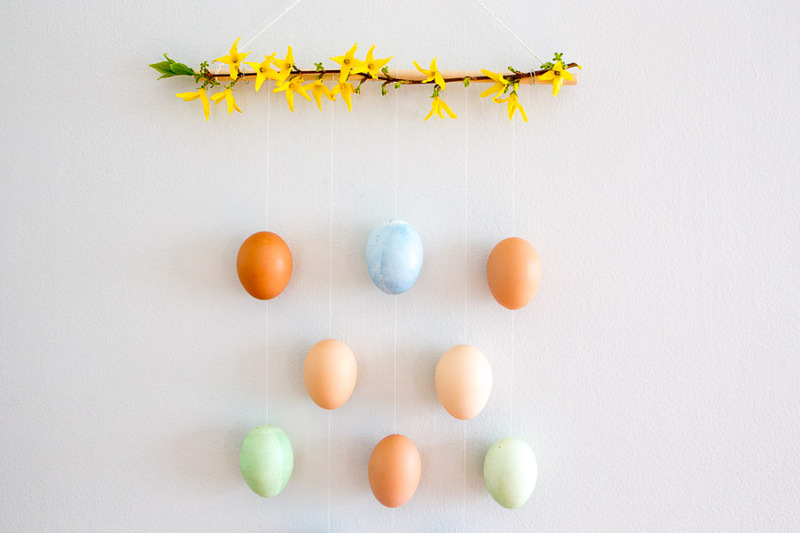 This consisted of us spending a whole afternoon blowing the yolks out of eggs, dyeing them, and then decorating a small tree (aka a branch) for the dining room table. 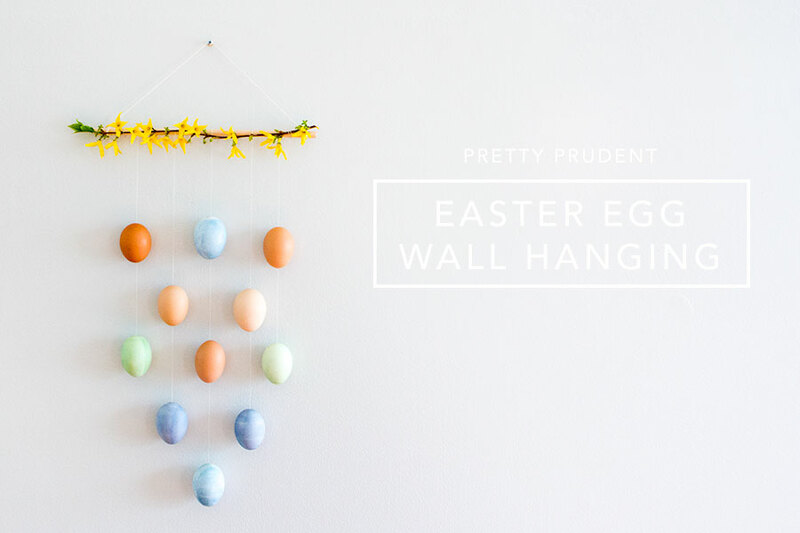 This year I wanted to put a modern touch to the classic Easter egg tree, by turning it into a wall hanging. 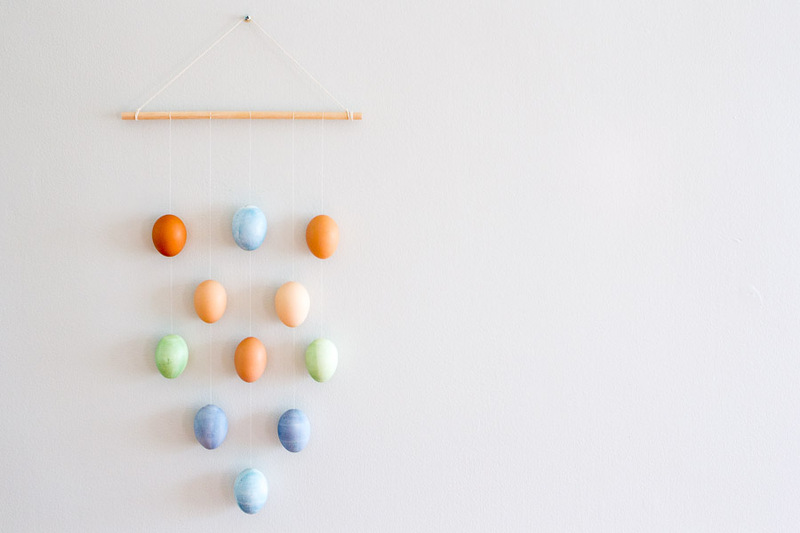 Whether you celebrate Easter or not, this is a fun way to welcome the coming of spring. Start by dyeing your eggs. 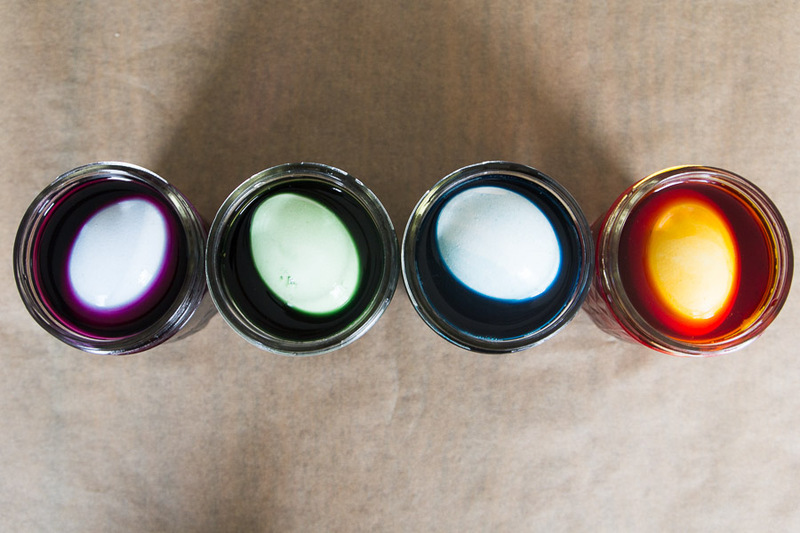 I went with the Natural Egg Dyes Kit and also kept some of the eggs their natural color. Now, gather your supplies for the wall hanging. Start by blowing the yolk out of the eggs. You do this by using the pin to make a small hole at the top and the bottom of the egg. Blow through the top hole and the yolk will come out of the bottom. It can get messy, so I recommend doing it over the sink or in a bowl. 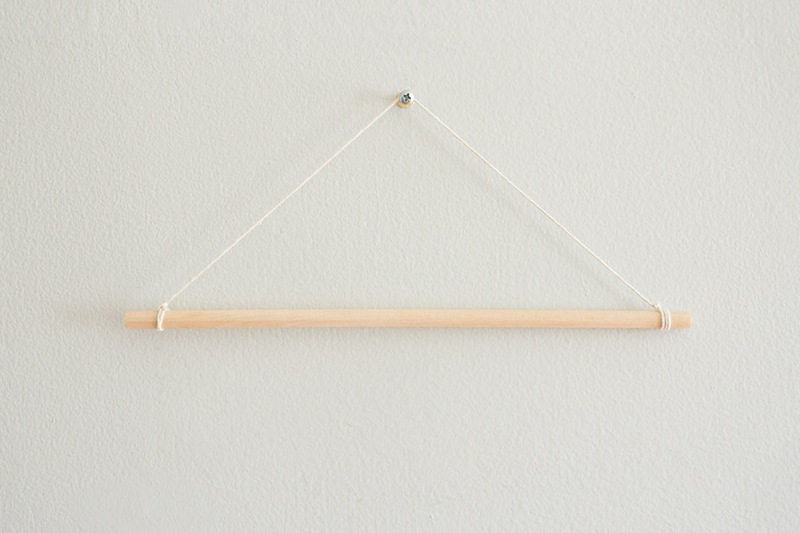 Hang your dowel by your piece of cotton twine. Secure both ends by wrapping it around and tying a double knot. In order to make the eggs hang securely, we are going to make a type of bar clasp, like you would with jewelry. Cut a small piece of wire (about 3/4 inch). Slightly bend it in the middle (as you can see I did here). This helps the thread stay in place. 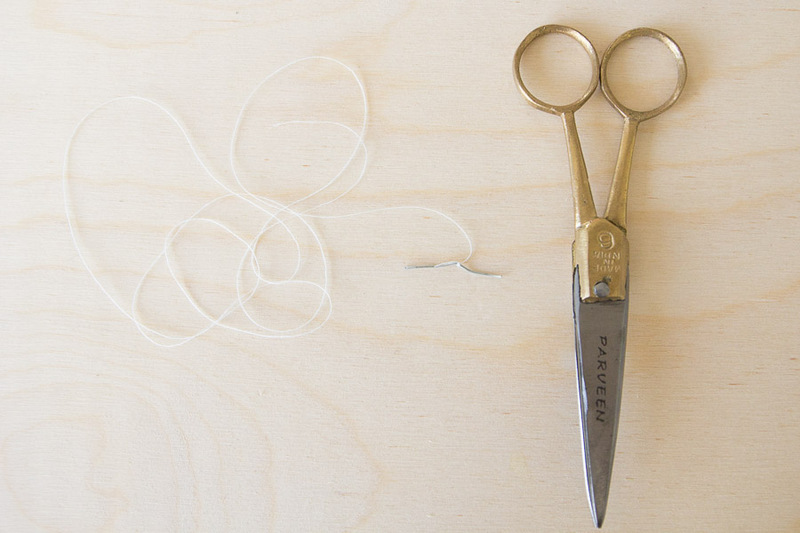 Cut a piece of thread to about two inches longer than your desired hanging length. Tie the end of the thread to your piece of wire with a double or triple knot. You can secure the knot to the wire with a small piece of tape if you’d like, but I found this held well. 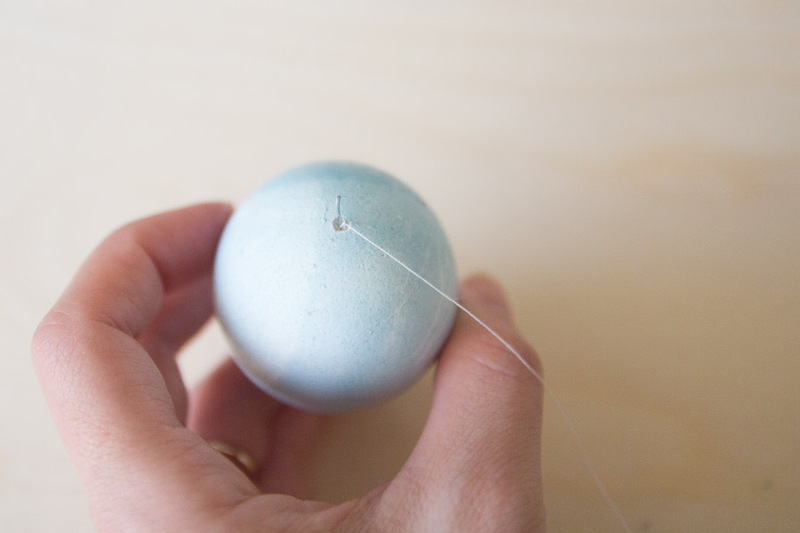 Insert your wire bar and thread through the top hole of your egg. Drop it in and then pull back on the thread. The wire will now sit like a bar clasp inside your egg. Tie ends of your thread to the top of your dowel. 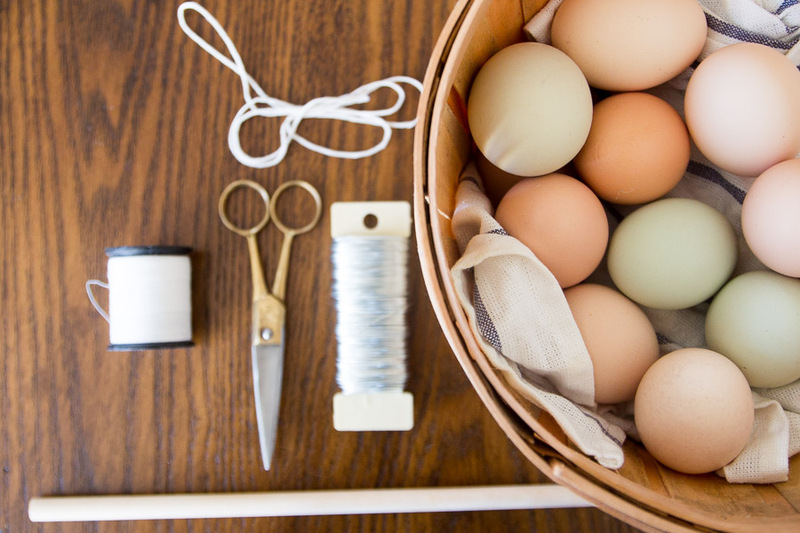 If you want to attach more eggs to the same string, simply follow the same steps shown above, except now you will have a wire bar at the top and bottom of your thread. 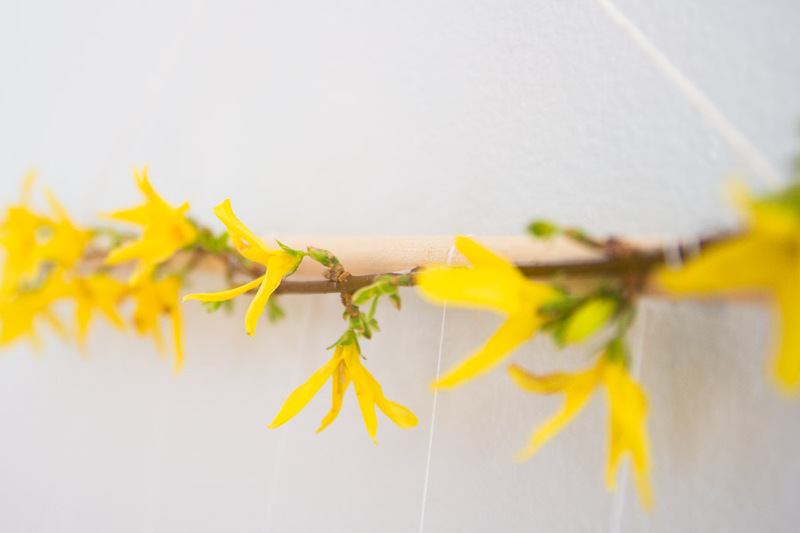 or beautify it with flowers from the garden. 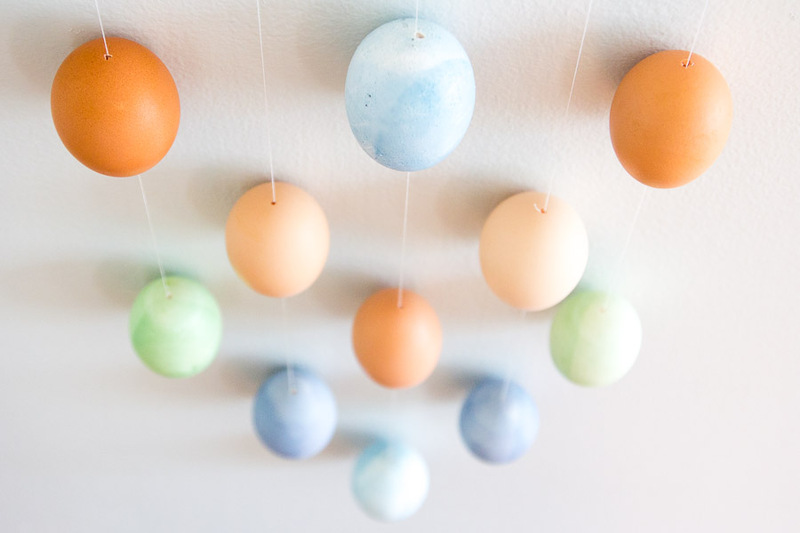 Nice deco for easter. It’s quite pretty. Thanks for the tutorial. Such a pretty wall hanging! I like the flowers on top. 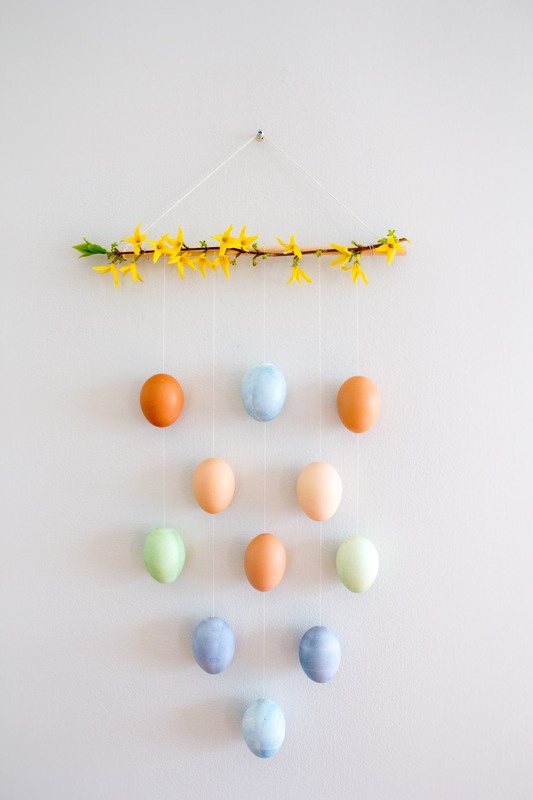 This Easter Egg Wall Hanging look so stunning. I loved this simple, clear and very easy tutorial. Thanks for sharing great idea with us.